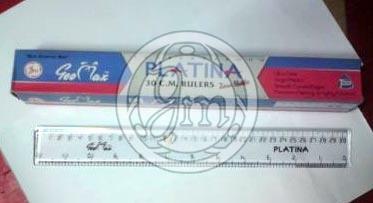 Geomax 12" Platina Plastic Ruler, in which we deal, is one of the specimen rulers available to the market of such grade. It is made of virgin plastic, in accordance with the standards. Its quality is assured to be high. Its fine finishing elevates the experience of using a ruler. Such consideration has bracketed us with the preeminent Manufacturer and Supplier of 12 Platina Plastic Ruler.